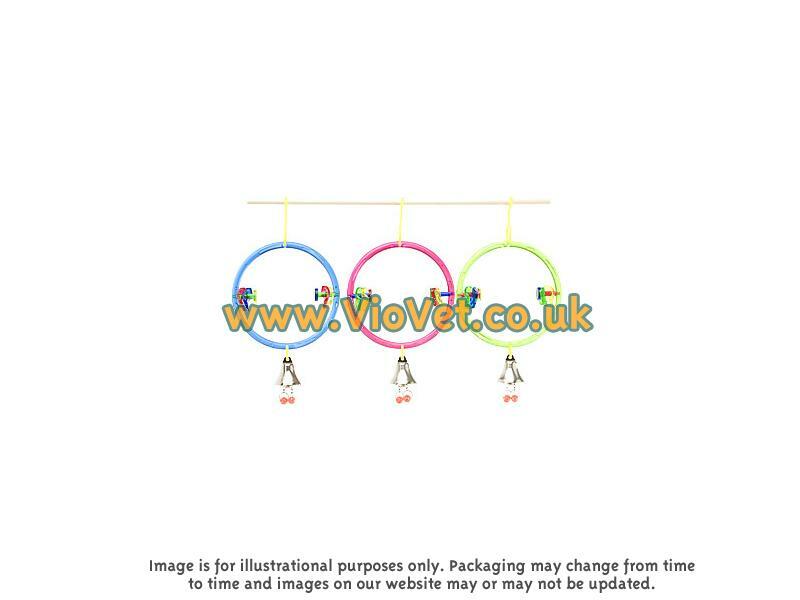 JW Rings are a fun and attractive product, great for adding colour and enrichment to your bird's enclosure whilst helping to encourage play and alleviate boredom. The Rings comprise dangling bells to appeal to your bird's senses and that make a gentle sound. Suitable for most small bird species. Below are some recent questions we've received regarding JW Ring Clear Bird Toy, including answers from our team. What diameter are the rings? The approximate measurement of the ring is 20cm x 12.7cm.